Room was way too small but was very quiet. The bed was too soft but I slept fine. The room was clean but the hotel overall, particularly the lobby is worn out and not very inviting. The staff is very helpful and nice. My stay in this hotel was really comfortable. The intire staff was always kind and helpful. I had everything I needed in my room. And it was always clean. I can't say any negative words about my stay there. Great place to stay. Rooms are a little small but comfotable. Pedro and the staff went above and beyond to make our stay in New York STRESS FREE! We even had a car and they made that so easy. The location was amazing. The beds were so comfy too. We walked everywhere, the Empire State Building and grand central station were so close, as well as Times Square, Rockefeller center and Central Park. 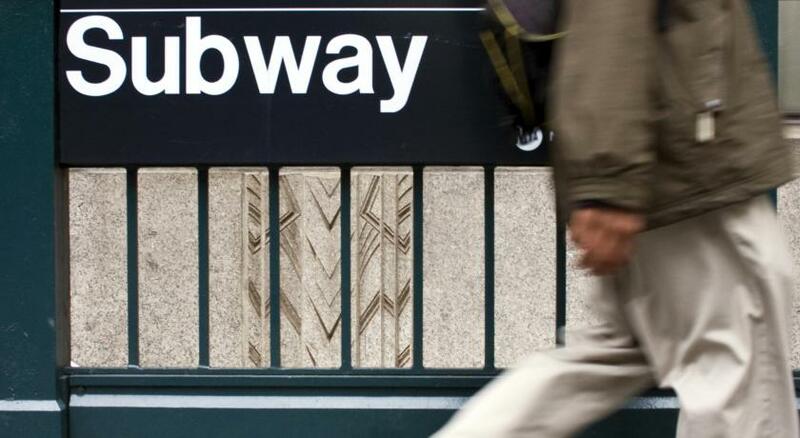 There was a subway station half a block over if we needed it. The price was a steal and I can’t wait to stay here again. The bed was great. Staff was very friendly and accommodating. The hotel had some old world character, which I thought was charming. Breakfast was awful. Place is in a good location, rooms are clean and stuff is very friendly. Very basic but affordable & the staff was excellent. Tiny room but it worked. Good shower. The front desk staff was excellent. The room and bathroom was immaculate. All of the staff was very nice and extremely helpful. 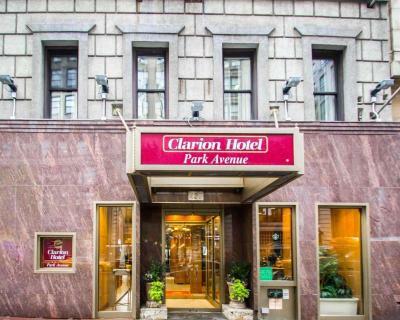 Clarion Hotel Park Avenue This rating is a reflection of how the property compares to the industry standard when it comes to price, facilities and services available. It's based on a self-evaluation by the property. Use this rating to help choose your stay! 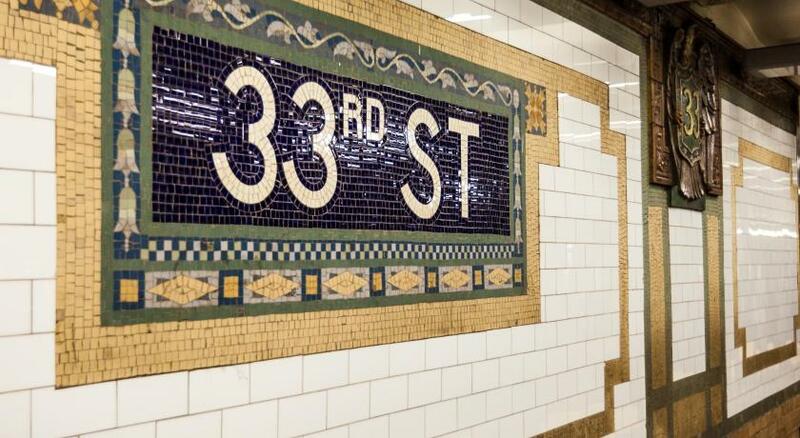 Located in Manhattan’s Murray Hill neighborhood, this hotel is a 10-minute walk from the Empire State Building and 2 blocks from the subway. 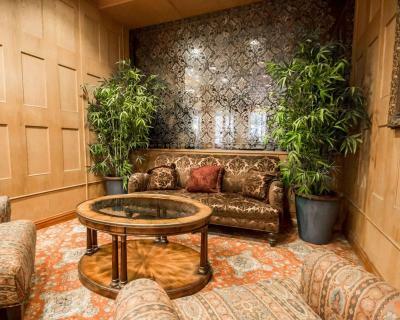 It features a continental breakfast and free Wi-Fi. 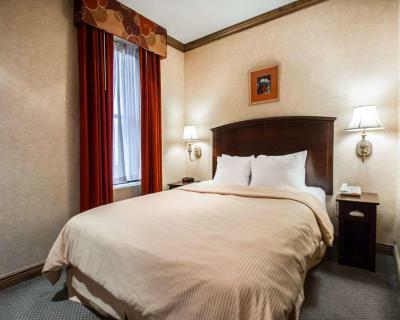 Each simply furnished guest room at the Park Avenue Clarion Hotel includes dark hardwood furniture and a 32-inch LCD flat-screen TV. Guests can watch cable TV or read the free copy of USA Today. A large work desk and a coffee maker are also provided. 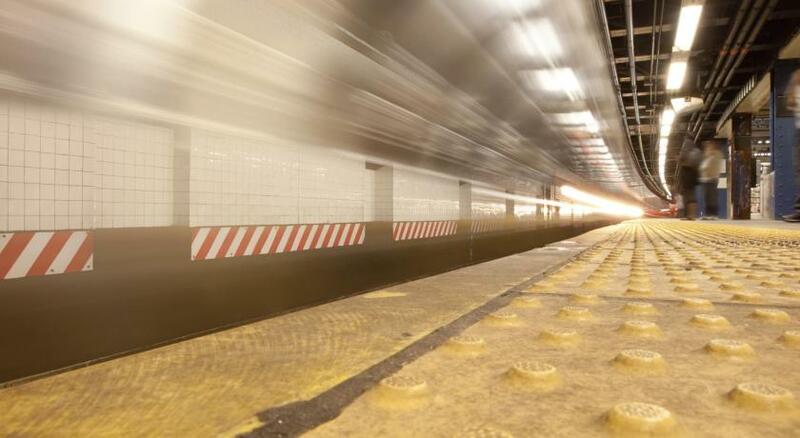 Times Square is 1 miles from Clarion Hotel Park Avenue. 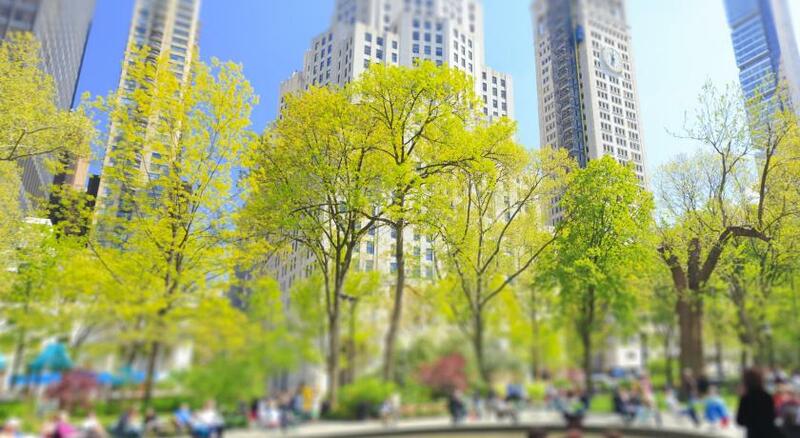 Madison Square Park is less than 10 minutes away on foot. Valet parking and dry cleaning services are offered at this Manhattan hotel. When would you like to stay at Clarion Hotel Park Avenue? House Rules Clarion Hotel Park Avenue takes special requests – add in the next step! Clarion Hotel Park Avenue accepts these cards and reserves the right to temporarily hold an amount prior to arrival. Please note: This hotel is not wheelchair accessible. It was very cold in the room. The heater was very noisy. Didn't leave it on overnight. 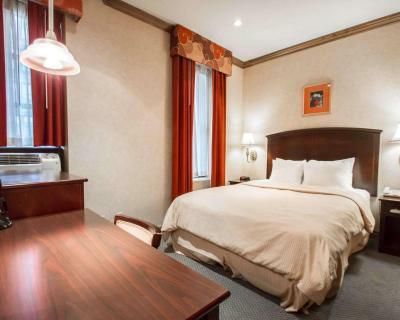 Friendly and kind staff, breakfast included, location within walking distance from Penn Station and sights. Good bathroom and shower. I was able to store luggage at hotel before check-in and after check-out. Quiet room. The room is extremely small, probably the smallest hotel I have ever stayed at. The room was nice and clean with a great shower. Rooms so small it was hard to move around. The property is tired. Breakfast was the exact same thing every day and just mediocre. The bed could b better. There is no washer and dryer, the bed is springy, floor creeks, could hear the noise of people along the hall wall. The room is small for the money. I didn't like anything about this hotel. The rooms were tiny and I didn't have heat the first night. The staff tried but they had very little to work with. The bed was too soft nafd lumpy. However, the room was clean. 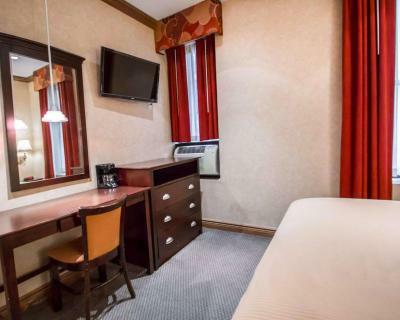 Hotel is in a great location very friendly staff clean and the complimentary continental breakfast is very good. The one elevator in the facility goes up to 7th floor which is a shelter. Members in the shelter was confrontational with me and my family for no apparent reasons and asked us not to return to the facilities or we would be arrested. Although I am sure it was mistaken identity or a misunderstanding, it was very uncomfortable and unpleasant. Lobby is dated and not appealing. Elevator smelled AWFUL and was very cramped. Everything is old. The drawer cannot be closed. Room is too small. No place to lay down my luggage.